PARISHES: Turibouri, Tobago, Piano, Tokaino. L-R: Frs Ambrose, Tomasi, George, Austin. PARISHES: Hahela, Gagan, Hanahan, Lemanmanu. In 1898, Bishop Pierre Broyer SM, vicar Apostolic of Samoa, was charged with establishing new missions in what was then called the North Solomons. Marist Frs. Karl Flaus and Eugene Englert were sent from Samoa to begin the new mission. 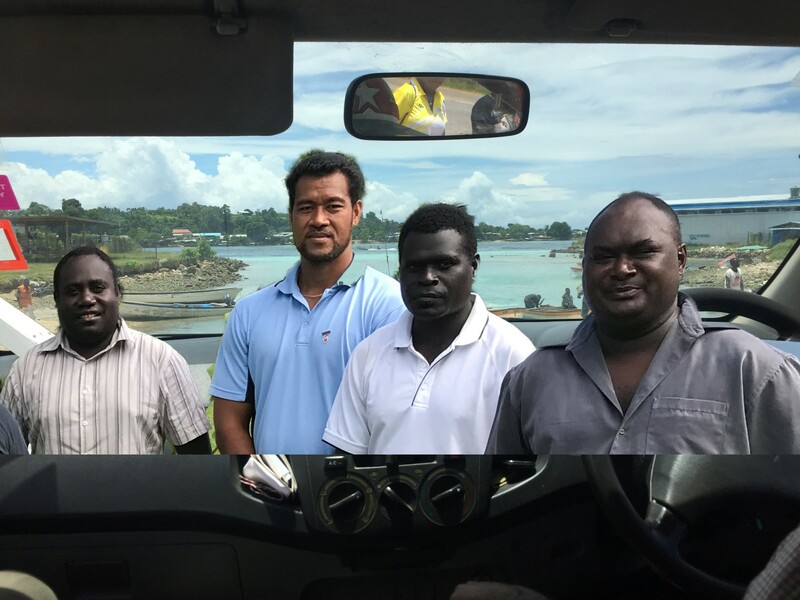 They were greatly helped in this work by two Samoan catechists, Kario and Lino. They founded their first mission at Poporang in the Shortland Islands. In 1901 they established their second mission at Kieta. Over the years 30 missions were established on Bougainville, Buka, Nissan and the Caterets.World War II was a difficult period as the Japanese invaded and occupied the Region. Five Marists, three priests and two brothers, were killed, others were interned. A period of great vitality followed on from the war as the missions undertook the work of reconstruction of churches, schools, health clinics and convents. 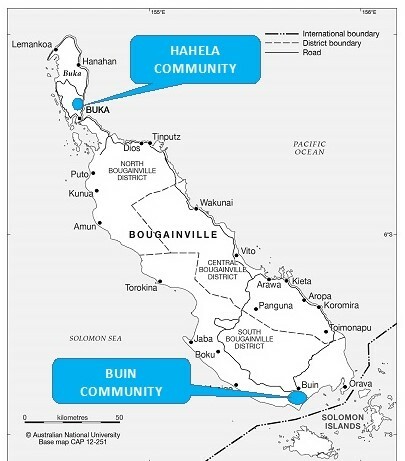 A further period of much difficulty was experienced in more recent years because of the Bougainville Secessionist movement from 1988 to 1997. Many people died as a consequence of the conflict, relationships between the various groups involved were fractured and every aspect of life was affected. Marists have been involved in the work of reconciliation and re-establishment of political, social and economic structures still continue. 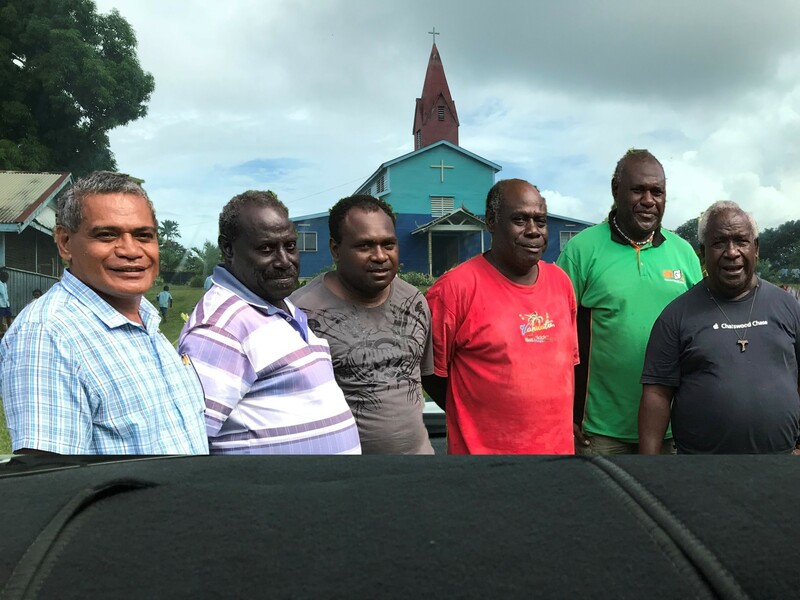 The necrology of Oceania Marist Province shows that more than 80 Marist missionaries, now deceased, worked in the Bougainville Region.